Episode 15: Reactions to Danny Boyle’s Exits of Bond 25, Kelly Marie Tran Op-Ed, the upcoming Fall TV schedule, Westerns and more! On this episode of The Fanboy Garage, hosts we dive right in and unpack our thoughts on Danny Boyle’s exit from Bond 25 and examine if Bond directors are able to bring their style and sensibilities to the franchise with minimal interference from producers. From there, we quickly talk about Kelly Marie Tran’s powerful Op-Ed in The New York Times and transition into a rundown of the Fall TV shows we’re most looking forward to including Shameless,This is Us, Iron Fist and others and why other shows like Jack Ryan are off our radar. To close the show, we explore reasons why Batman V Superman: The Ultimate Edition doesn’t have ANY commentary from Zack Snyder accompanying the film and share our thoughts on why we’re interested in movies that provide commentary as extra features. Later, we rundown our five favorite Westerns films and end with a 20thAnniversary shout out to one of our favorite Marvel films, Blade. There’s so much more packed into this episode like “Santa John’s” bag of treats! 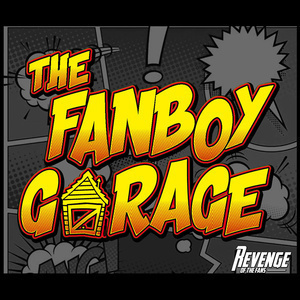 Be sure to tune in and subscribe where all great podcasts are found and don’t forget to keep the conversation going by tweeting us @TheFanboyGarage.